Jeremy Corbyn is certainly not particularly eloquent or charismatic, and his performance at Prime Ministers’ Questions has sometimes been poor. There probably are people who would do a better job in terms of presentation. But there are more important issues at stake than which party wins the next election, or which person would help Labour do that. The MPs moving against Corbyn are the core of New Labour. Tony Blair and New Labour, who were great at winning elections until the banking crisis hit, also created many of the problems that the country faces today. 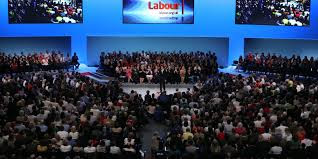 New Labour’s strategy of just adopting most of the Conservative party’s policies and rhetoric had disastrous effects in the long run, both for the Labour party and for the country. 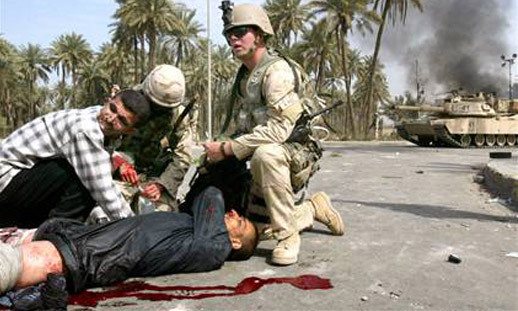 By adopting the Conservative policy of following the US on foreign policy it got large numbers of people killed in the Iraq war, others tortured and left far more grieving. And the only people to benefit were some oil and arms companies and firms like KBR – a subsidiary of Cheney’s Halliburton – which were allowed to overcharge the US military for supplies (1) – (2). Polls in the US showed that a majority only backed an invasion if US allies took part. So Blair and his acolytes could have not only prevented British troops dying in it, but stopped it happening at all (3). Instead Al Qa’ida was handed a boost – and from al Qa’ida came Islamic State. Some want to “draw a line” under Iraq. Not so easy for families who lost loved ones in it, but let’s look at other issues. Thatcher began deregulation of the financial sector with her 1986 “Big Bang” deregulation of the City of London. New labour adopted the Conservative policy of deregulation, euphemistically renaming it “light touch regulation”, or the oxymoron “self-regulation”. That led to the banking crisis and subsequent recession which destroyed voters’ trust in Labour’s economic competence and led to it losing power in 2010. Some will try and claim it was a global crisis. It was not. 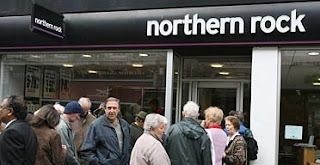 Countries like Norway, Demark, Sweden and Canada, which had regulated their banks properly after earlier banking crises in the 1980s and 90s, did not suffer any banking crisis. Countries like the UK and US which had deregulated most, suffered most (4) – (5). Blairites try to pin the blame for the 2010 election loss entirely on Brown’s personality, or him not being right wing enough. Any Labour leader would have lost that election, and Brown, while his rhetoric was slightly more left wing, maintained just as many policies adopted from the tories. For instance “welfare reform”. ATOS first got its contract to strip disabled people of their benefits under New Labour. And the Bedroom Tax was piloted for tenants in privately rented accommodation under New Labour too. “Welfare reform” ensured that when the recession caused by the banking crisis hit, people had less of a safety net. The housing shortage is largely the result of governments from Thatcher’s on selling off council houses without providing councils with any budget to buy or build anything like enough replacements. New Labour guilty too, again. PFIs – another Conservative policy – were expanded massively under new Labour, renamed PPPs, because it sounded nicer. They result in new hospitals at lower initial cost, but cripplingly high annual charges, lasting up to 80 years, paid by NHS trusts and local councils to consortia of private companies. That results in less beds and staff in PFI built hospitals compared to those they replace (6). Another result of New Labour adopting so many Conservative policies was that the Conservative party moved even further right. So today we have a Conservative party whose “moderate” wing (Cameron and Osborne) have done things Thatcher would never have dared to do – cutting benefits for the genuinely disabled, and privatising the Royal Mail for instance. New Labour did make progress in a few areas – the National Minimum Wage, which was vital, had been opposed by the Conservatives, and has since been maintained and increased even by Conservative governments – and devolution. But in so many other areas the political centre was moved right – a long term strategic defeat. The MPs who are trying to make Corbyn resign today are led by the same people who voted for the Iraq war, who nodded through deregulation, privatisation, PFIs, council house sales without replacements. 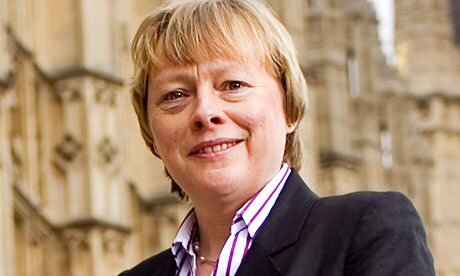 Like Angela Eagle MP for instance, who voted for the Iraq war and served as a minister under Blair. And they showed before Corbyn was elected that they hadn’t changed. In July 2015 acting Labour leader Harriet Harman MP and 183 of her colleagues voted to abstain on and so basically accept Conservative benefit cuts. Harman also pretty much apologised to voters for not being more like the tories (7). Their only idea remains adopting Conservative policies, and to hell with the effects on ordinary people , and the long term consequences. 48 Labour rebels including Jeremy Corbyn actually did the job of an opposition and voted against the cuts to child tax credits, unemployment benefit, housing benefit for under 25s and the abolition of legally binding child poverty targets. The other issue involved in the stand-off between Corbyn and New Labour MPs is democracy in the party. Before the leadership election which Corbyn won, Labour leadership elections had an “electoral college” which made each Labour MP or trade union leader’s vote equivalent to those of tens of thousands of other party members. Ed Miliband finally brought in the One Member One Vote system for electing party leaders which New Labour had pushed for, but for motives other than democracy. They believed that this and the “supporter” category of associate member would make Labour leadership elections more like US Democratic party style "primaries” in which voters who are not party members can take part. They expected this to mean more ‘New Labour’ candidates would be elected and less left wingers. When it became clear that the result was the exact opposite, with Corbyn elected, they were horrified by the results of greater democracy. And the figures showed Corbyn would have won even if the vote had been restricted to full party members, even without the now “controversial” supporter category (8). He’d only even got enough nominations from MPs to get on the ballot by getting nominations from some MPs who didn’t want him as leader but thought he should be in the campaign debate. From Kinnock through to Blair the “modernising” party leaders had mostly ended any internal democracy on making party policy. Even votes by party conference became “non-binding” on the leadership – i.e they could ignore them if they wanted to and have a different policy. Corbyn began changing this, giving ordinary members more say. What we have now is a stand off between the majority party members, and the majority of Labour MPs . Mostly ‘New Labour’ MPs, some of who, like Angela Eagle, have never had to face an challenge from other candidates to replace them since they were selected as candidates in 1992. Corbyn said that if he won a second leadership election he would bring in mandatory re-selection for MPs – meaning sitting MPs would have to face votes by their constituency party on whether to keep them as the candidate before every election. (9). The MPs decided to try to avoid the risk of party members re-electing Corbyn. They’re pushing for a change in the rules through the National Executive Committee requiring the sitting leader to be nominated by 50 MPs the same as any other candidate for leader (10). They hope Corbyn wouldn’t be able to get 50 MPs to back him, so wouldn’t get to take part in the leadership election. Not only this, but they’ve said they may not even do this till the party conference in September, creating paralysis in the party, and trying to blame it on Corbyn’s refusal to resign. This shows that New Labour don’t really believe that Corbyn has lost the support of a majority of party members. Under the existing party rules MPs can only be deselected by a majority vote of their Constituency Labour party and replaced with a different candidate in the run up to a General Election. So there is no way for ordinary members in Constituency parties to deselect MPs who refuse to accept Corbyn as leader, until another election is called, unless the party rules are changed through the National Executive Committee (which is also deadlocked in the civil war currently). The best solution would be to get a left wing , or at least non New Labour, MP who has represents the views of ordinary members and will let policy be made by majority votes of members, but is more charismatic and a better speaker than Corbyn. But no such MP seems to exist currently and sitting MPS can’t be deselected or replaced till a General Election. So Corbyn seems a better alternative than handing control of the party back to New Labour MPs who will ignore members . 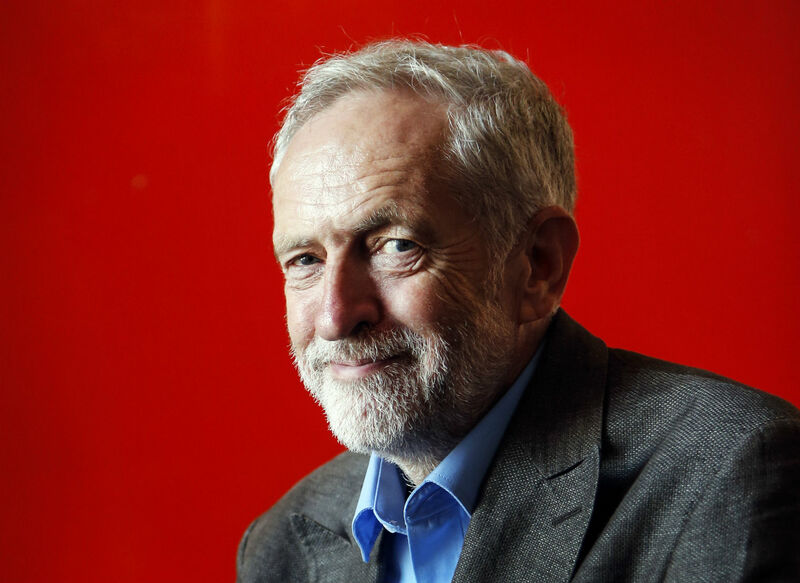 If there was a candidate standing against Corbyn who was both more charismatic, a better speaker, and had shown the same commitment to democracy within the party and ensuring policy is decided by the majority of party members, it would be better for Corbyn to be replaced by them. But while the only candidates standing against Corbyn are New Labour careerists who are responsible for the Iraq war and banking crisis that lost so many lives, caused so much hardship and lost Labour voters’ trust, and whose only policy idea is to adopt more disastrous Conservative policies, he must stay for now. Did you know that you can make money by locking special sections of your blog / site? Simply join AdWorkMedia and implement their Content Locking tool.